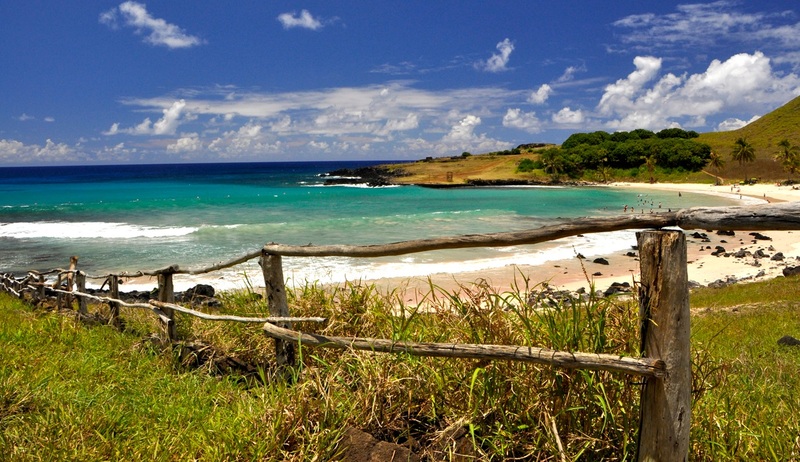 Unravel the mystery of Rapa Nui with a private guide. 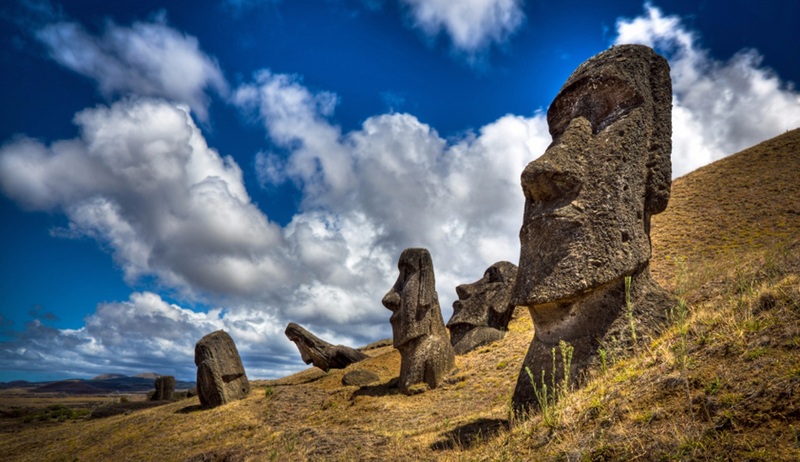 Explore mythical Easter Island, known around the world for its ancient monolithic stone statues. 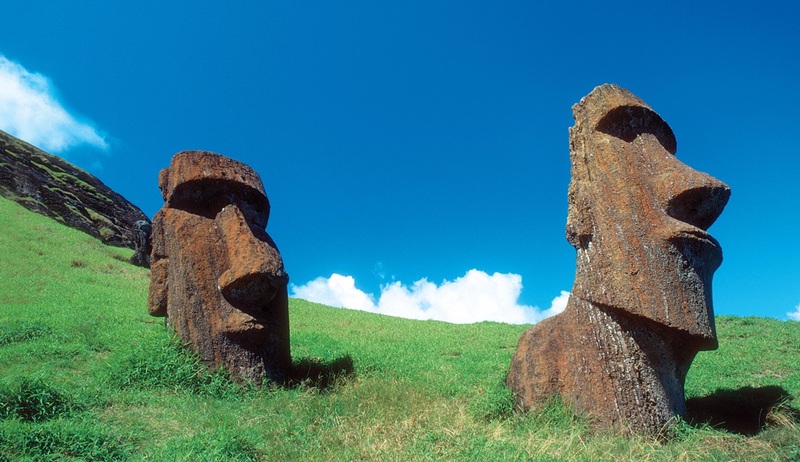 See the mysterious statues - or Moai - sprinkled throughout the island, tour the volcanoes, beaches and petroglyphs, and get to know the unique culture of one of the most remote islands on Earth. Speak to someone who’s been to Chile. Start planning your tailor-made trip by calling one of our friendly destination specialists on 0800 195 3385 or 44 1625 581143 for outside the UK. Arrive at Hanga Roa airport. met and transferred to your hotel. 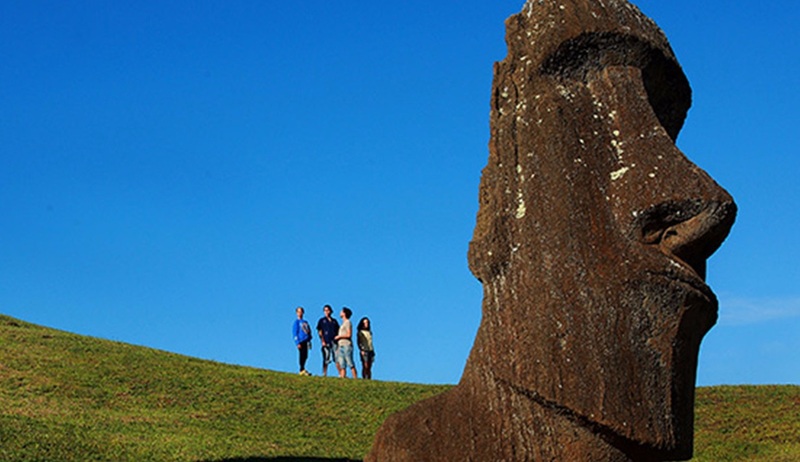 Enjoy a full-day tour along the Moai route. Start the tour with a visit to Vaihu, a place surrounded by enormous statues that have toppled face down. Next, stop at the ruins of Akahanga. Still in their original condition, they are the location where the first king of the island was buried. See the Rano Raraku volcano located further along, close to the southern shore of the island. At the base of Poike, the most spectacular crater in the zone, former islanders carved giant statues from the volcano’s quarry — they are 20m (65t) long and just under 200 tons. Carry on toward the beautiful beach of Anakena, to see Ahu Tongariki, the largest of the 15 Moais on the island; they weigh an average of 50 tons and were destroyed by a tidal wave in 1960. Before Anakena, we will check out of Te Pito Kura and the Moai of Ahu Nau Nau. Depart Hanga Roa and go toward Rano Kao Volcano; inside its deep crater there is a freshwater lake covered with totora. 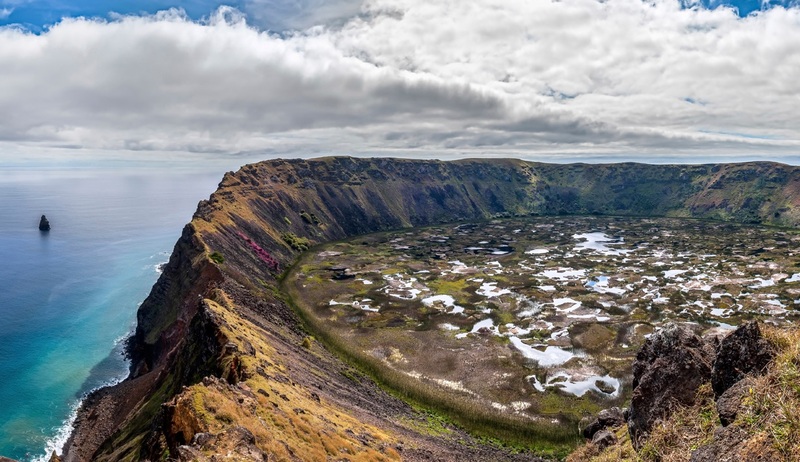 Located on the top of the crater is Orongo, the centre where the Tangata Manu or Bird Man ceremony is celebrated each year, usually during summer. There are more than 100 petroglyphs, representing the god Make Make, the Tangata Manu, and the Manutara sea bird, among others. Head north to visit the Ahu Akivi, a platform made up of seven Moais – these are the only Moais on the island that were positioned facing the sea. Move on to Huri a Urenga before visiting the Puna Pau, a quarry where the Pukao where carved (Pukao is also known as the typical hairstyle or the hats of the Moais). Learn more about the making, building, and transportation process of these colossal sculptures carved on volcanic rock. You were right, Chile is enormous! We packed so much into to our two weeks and despite the huge distances we still found time to sit back and enjoy the incredible scenery. I don’t believe any country could offer more diversity, we were sat up on the Atacama Desert one week and surrounded by penguins and glaciers the next. Still not sure how all the logistics worked out so well, but they did so thank you. Loved all three of the Tierra properties so a great recommendation and thoroughly enjoyed our stay on the estancia, took me back to my childhood when I worked on a farm, although I don’t remember eating steak as good as that when I was a child! The holiday did exactly what it said on the tin and delivered everything that I hoped it would and more. Seeing pumas in the wild was a real privilege and a dream come true, thoroughly enjoyed all the hiking in Torres Del Paine as well and of course the wine tasting in Mendoza definitely went down a treat!! !